Born and raised on a council estate in Sheffield he was an apprentice in the steelworks before joining the Police where he has served for eighteen years, gathering a wealth of hilarious stories that you ‘just couldn’t make up’. He has an observational comedic style, which lends itself to witty, and sometimes gritty, anecdotes based on everyday modern policing. He also is an adept socio-political commentator and weaves this all together with his take on the ‘comedy gold’ of life. He has six times written and performed his own one-man show at the Edinburgh Fringe Festival, including ‘I PREDICTED A RIOT’ which he has toured nationally and his critically acclaimed show ‘VIVA ALF’S VEGAS’. In August 2014 he debuted his brand new stand-up show ‘THE NAKED STUN’ in Edinburgh where it was a total sell-out for the full Festival run before touring nationally and internationally. His 2015 Edinburgh show ‘A FAIR COP STANDS UP’ told of his dismay at the systematic dismantling of what he considers to be the finest police force in the world and his hilarious plan to resuscitate the ever shrinking ‘thin blue blue’ and change the face of British policing for ever. He is currently touring his deliciously dark stand up comedy show ‘GETTING AWAY WITH MURDER’. Alfie has also supported Sarah Millican, Russell Kane and Milton Jones on their national comedy tours. Alfie was one of the stars of ‘Show Me The Funny’ (ITV) and wrote and presented ‘Alfie Moore’s Almanac’ for BBC Radio. 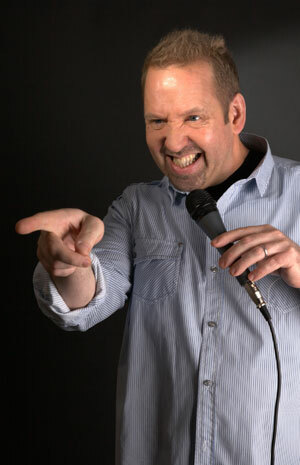 He has been featured on The Wright Stuff (Channel 5), Comic Relief, Sky News, BBC Radio 4’s Idiots Guide to Crime and Punishment, BBC Look North, ITV Calendar, Bizarre Crime (BBC 3), Confessions of a Police Officer (Channel 4) and recently joined the presenting team of Criminals Caught on Camera (Channel 5). His BBC Radio 4 comedy series ‘IT’S A FAIR COP’ debuted in July 2014. Following exceptional feedback, from listeners and media reviews, two further series have aired with a fourth series commissioned for 2018. In addition to his own tour shows Alfie performs at a select number of charity gig a year, including as a Patron of Western Park Hospital Cancer Charity. He also enjoys performing as part of a ‘mixed bill’ of comedians at good quality comedy clubs up and down the country. CLICK HERE to see Alfie’s gig list. Alfie is a member of both Equity, with full Public Liability cover, and The Writer’s Guild of Great Britain.